The group, which includes the Christian Medical and Dental Society of Canada, the Canadian Federation of Catholic Physicians' Societies and Canadian Physicians for Life, is asking Ontario's highest court to strike down the policy. A group of five doctors and three professional organizations is appealing a divisional court decision that upheld a policy issued by the province's medical regulator, arguing the lower court made several errors. The group, which includes the Christian Medical and Dental Society of Canada, the Canadian Federation of Catholic Physicians' Societies and Canadian Physicians for Life, is asking Ontario's highest court to strike down the policy. The case is set to be heard in Toronto on Monday and Tuesday. Last year, the divisional court found that while the policy — which requires doctors who have a moral or religious objection to treatments such as assisted dying, contraception or abortions to refer patients to another doctor who can provide the service — does limit doctors' religious freedom, the breach is justified. When it comes to physician-assisted death, could religious hospitals ethically refuse? In court documents filed ahead of Monday's hearing, the group said the ruling was unreasonable because it gave more weight to an assumed problem with access to health care than to a real infringement of doctors' rights. "The (College of Physicians and Surgeons of Ontario) elected to provide no objective, quantifiable evidence that mandatory referrals actually result in enhanced access to care," it said. There was also "no objective evidence of actual harm either before the policies or in any other jurisdiction in Canada," it said. It further argued the court erred in finding that any violation of doctors' rights stemmed from their decision to practise in an area where moral conflicts could emerge, saying that presumed physicians could easily switch jobs. "A consequence of these policies is that a number of physicians will be required to either retrain (notwithstanding severe personal consequences and no guarantee of finding work) or else leave Ontario altogether," the group said. "Can a policy which takes physicians out of Ontario rationally relate to the promotion of equitable access to health care?" "The appellants' claim that any patient capable of contacting their physician is capable of finding a second treating physician is directly contrary to the evidence," the regulator said. "It ignores that vulnerable or frail patients may still be living at home, relying on family members for assistance...who may not support the patient's choice. It ignores that care options may be more limited in remote or rural areas. It ignores that some patients with mental, emotional or linguistic challenges may be unable to advocate for themselves," it said. "And it ignores the very real feelings of judgment, shame and stigma that patients experience when their physicians fail to provide the individualized care a patient seeks." 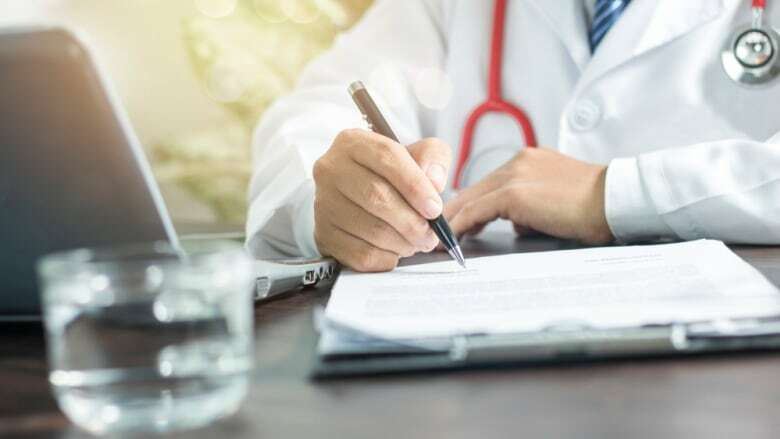 "The appellants put forward no evidence of a sincere religious objection to working with administrative staff who might connect patients with non-objecting providers, or to working in a practice group which can triage patients," the college said. "More importantly, they put forward no evidence of the actual burden — financial, logistical or otherwise — of making such administrative changes." What's more, it said, "the relative power and privilege of physicians as compared to the vulnerable patients they refuse to assist" should be considered.